Britain’s real power and security lay in her control of the seas. As relations with Germany deteriorated in the approach to World War 1, it was assumed that any future conflict with Germany would be at sea and that Britain’s part in defeating Germany would be through a naval blockade. The traditional role of the British army before 1914 was to police the Empire and defend the British Isles; it was not an army intended to fight in a European war. However, from 1911 onwards, Britain’s military strategy began to shift. A naval blockade against Germany would take time to have any real effect and, if France was defeated before this happened Britain would face a Germany totally dominant in Europe. A series of military discussions with France resulted in a plan to land a British Expeditionary Force in Europe in the event of war, whose purpose was to help prevent a swift German victory. In the event of war, Britain planned to land a British Expeditionary Force of six infantry divisions in France, a force of 100,000 men. The BEF of 1914 has often been described as the best British Army sent to war. 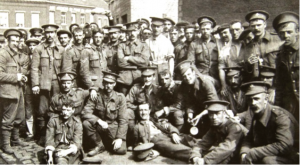 Much of the training which these men received was a result of lessons learned during the Boer War and British soldiers were effective in the use of cover, in tactics and the ability to deliver rapid, aimed rifle fire. The BEF was also well disciplined and had a high level of morale. The BEF was trained for open warfare of movement, but from September onwards it began to face a static war and proved to be badly equipped for this new situation, particularly in a shortage of appropriate weapons, such as machine guns, heavy artillery, mortars and hand grenades. Britain declared war on Germany on 4 August 1914. On 6 August, the Cabinet agreed to send four infantry divisions and one cavalry division of the BEF to France immediately, with another to follow. One division was retained in Britain for home defence and to deal with any civil unrest, which had been a prominent feature of British life prior to the war. Mobilisation went extremely smoothly. 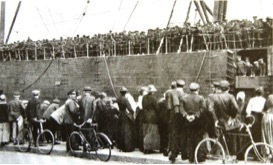 Embarkation for France began on 9 August and the BEF was assembled at its concentration point of Maubeuge by 20 August. The force was commanded by Sir John French and was initially divided into two corps, each of two divisions; 1 Corps was commanded by Sir Douglas Haig and ll Corps was commanded by Sir Horace Smith-Dorian, who replaced Sir John Grierson, after his sudden death on reaching France. A fifth division landed in France on 22 August. Germany’s only plan for war, the Schlieffen Plan, was based on the fact that Germany would be faced with a war on two fronts against France and Russia, but that Russia would be slower to mobilise its army. 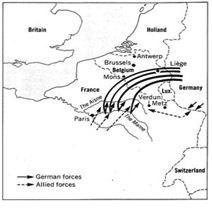 Germany planned to defeat France within six weeks by an attack of overwhelming force, passing through Belgium, sweeping down through Northern France to outflank French defences, take Paris and attack the French armies in the rear. Following the defeat of France, Germany would be able to meet the expected onslaught from Russian armies in the East. On the outbreak of war two German armies, the 1st, commanded by General Alexander von Kluck, and the 2nd, commanded by General Otto von Below, began their move to wheel in a sweeping arc through Belgium and Northern France. The commander responsible for putting this plan into operation in August 1914 was the German Chief of Staff, Helmuth von Moltke. France’s war plan, Plan 17, was for a direct attack against the German frontier into Alsace and Lorraine. The French commander Joffre was aware that a German attack through Belgium was possible, but France and her ally Russia believed that immediate, simultaneous attacks would place Germany at an immediate disadvantage and disrupt German war plans. Five French armies were ranged along the border with Germany and the BEF was placed on the left flank of the of these, immediately to the left of the 5th French Army. The BEF prepared to join the French advance to the East, but the weight of two German armies sweeping down from the North forced the French 5th Army to pull back to the West, leaving the BEF ahead of the French armies and dangerously exposed on either flank. However, in a meeting with Lanrezac, commander of the French 5th Army, Sir John French agreed to hold the line of the Mons Condé canal for twenty four hours on 23 August to cover the French withdrawal. Strung out along a twenty mile length of canal, the BEF was very exposed and faced the main German onslaught through Belgium. The main German assaults began at 9am and were mainly against the ll Corps. After some desperate fighting, by the afternoon ll Corps began to fall back from the canal line and at 1am on 24 August Sir John French gave the order for a general retreat. British losses were 1,600, almost all from II Corps, while German losses are not certain, but were probably between 6000 and 10,000. Disengaging from an enemy to effect a withdrawal is traditionally a very difficult operation, but this was carried out successfully along most of the battlefront. 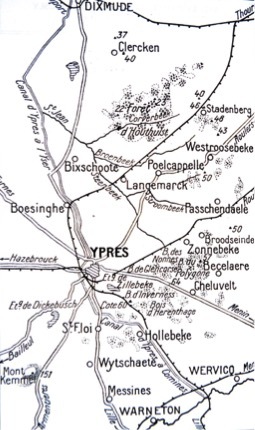 There was, however, a costly battle at Elouges on 24 August to protect the withdrawal of II Corps in which the BEF’s losses were greater than at Mons itself. Between 24 August and 5 September, in the heat of Summer, an army of nearly 100,000 men retreated 200 miles along narrow pavé roads with all of their equipment, transport and horses. Throughout this time they were relentlessly pursued by a massively superior German force. The achievement of the BEF in maintaining its discipline and the feat of organisation and supply is remarkable. On several occasions the BEF was forced to fight rear-guard actions . The largest of these actions was at Le Cateau on 26 August and was made by the II Corps and III Corps against the First German Army . 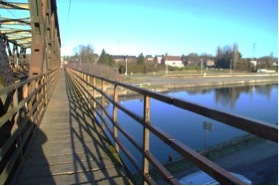 At Étreux on 27 August a small British force held a crossing over the Sambre Canal against the German 2nd Army, allowing I Corps to continue its retreat. During this action the 2nd Battalion of the Munster Fusiliers was completely wiped out. On 1 September, an intense close quarter action took place in the forest at Villers Cotterêts involving the 4th (Guards) Brigade, who were the rear guard of I Corps. On the same day 15 miles away at Néry, the 1st cavalry brigade defeated an attack by a whole German cavalry division in what became one of the most well-known incidents of the retreat. As the French 5th Army and the BEF retreated, the Schlieffen Plan began to unravel. The plan contained several inherent flaws and, as the French and the BEF retreated, the German 1st and 2nd armies were drawn to the South and the East, instead of wheeling to the West as planned. This resulted in the 1st Army passing to the East of Paris. The French commander, Joffre, saw a major opportunity to halt the German advance. The German 1st Army was open to an attack in its flank from the direction of Paris in the West. If the Germans were attacked from the West and, at the same time the French 5th Army and the BEF halted their retreat and attacked from the South, the German 1st and 2nd armies would be forced to withdraw. Joffre began to assemble a new French 6th Army around Paris in order to put his plan into operation. Sir John French, however, was not contemplating joining an advance. His resolve had been badly shaken during the retreat and he now wished to completely withdraw the BEF from the line for a period of recuperation. The Secretary State for War, Lord Kitchener, made a visit to French in an attempt to stiffen his resolve and after a personal appeal from Joffre, French, consented to join the general advance. The French 6th Army began its advance against the Germans on 5 September, beginning The Battle of the Marne. The battle was fought between the 5 and 12 September and is arguably the most important battle of World War 1. By its end, the Germans had begun a general withdrawal along a 250 mile front and The Schlieffen Plan was dead. Germany had failed to gain a quick victory, which was her only guarantee of victory. Germany now faced the prospect of a long drawn out war and the balance of resources against her made it very doubtful that this was a war which Germany could win. The German retreat ended along the line of the River Aisne. The Germans dug in along the heights behind the river and created a system on trenches protected by belts of barbed wire and defended by machine guns and artillery. The trench line soon extended South to the Swiss frontier. The German retreat had resulted in a wave of Allied optimism and some senior commanders had envisaged driving the Germans back to their borders. However, in a series of costly attacks over two weeks, known as The Battle of the Aisne, the French and British failed to penetrate the German defences. Trench warfare had begun and the deadlock in which it resulted was not to be broken until the Spring of 1918. The area North of the River Somme had seen very little fighting and was still, in September 1914, open countryside where no large military units were present. Von Moltke had been replaced by Falkenhayn in September 1914 and the new German commander saw an opportunity to outflank the allied line and to drive behind the allied line in the North. A German victory in 1914 was perhaps still possible. The German 6th Army was sent north and a new 4th Army was created, largely from reserve units still in Germany. Joffre also saw the possibility of launching a new offensive in the North and a new group of French armies was created under the Command of General Ferdinand Foch. At the same time the BEF was moved North, which would allow it to be closer to its bases of supply and also allow it to take part in the new allied offensive. The First Battle of Ypres was essentially a clash of these forces as the French and British allies attempted to push East into Northern France and Belgium and the Germans attempted to push through the same areas to their West. Ypres became the focus of the fighting. German attacks North of Ypres were held by the French and Belgians who were aided by the flooding of the coastal plain around Nieuport. On 19 October Falkenhayn ordered a general advance West and on the same day Sir John French ordered the IV Corps of the BEF, later joined by the I Corps, to advance East towards Menin and Bruges. Major German attacks developed against the BEF around Langemark on 22 October. Poorly trained and equipped German troops suffered heavy casualties in what became known as The Kindermörder or “Massacre of the Innocents.” As attacks mounted, the French took over the line at Ypres, North of Zonnebeke, and counter-attacks relieved the pressure on the allies. On 29 October a new series of German attacks developed along the Menin Road and along the Messines Ridge. In desperate fighting, the BEF were pushed back a short distance along the Menin Road and the Germans took the Messines Ridge South of St Eloi, but the line held and the Germans never achieved their objective of breaking through to the coast. German attacks were renewed on 9 November. Twelve German Divisions, including elite Guards regiments crashed against a thinly defended allied line, initially focussing on the French line between Langemark and Dixemude. The next day, following the heaviest bombardment yet faced by the BEF, the Germans attacked between Messines and Polygon Wood. Every man available was sent forward and, although the Germans made a breach in the BEF line along the Menin Road, this was closed after heavy fighting. On 15 November the French took over the line in front of Ypres as the BEF were totally exhausted of reserves and units being down to a fraction of their original size. By 17 November the Germans, who had suffered large losses in the Ypres attacks, gave up their offensive. The line had been held, but losses were heavy on both sides. Total British casualties at Ypres were 54,000. Total British casualties since the outbreak of war totalled 90,000, which was greater than the size of the original force sent to France in August 1914. The regular army which had sent seven divisions to France in 1914 ceased to exist. French casualties at Ypres were 80,000 and those of Germany were approximately 134,000. The exhausted belligerents dug in and the war of movement ended being replaced by trench warfare and deadlock for the next four years.